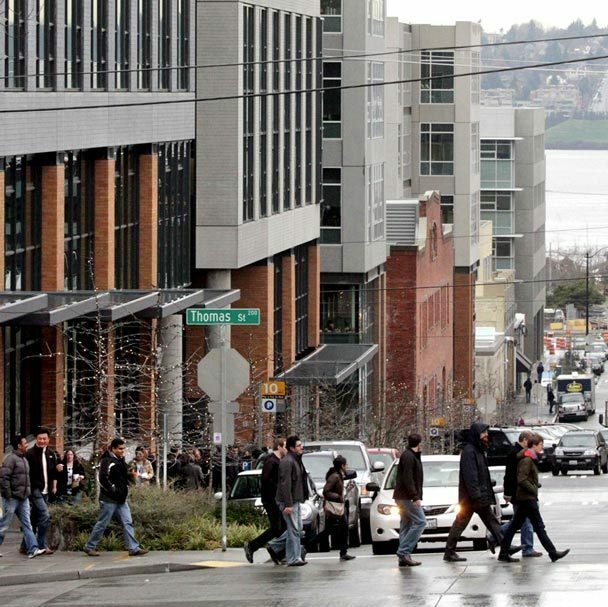 Did Amazon’s growth widen the gender pay gap in Seattle? Census: Seattle is the fastest-growing big city in the U.S.
Income inequality: How bad is Seattle? At her inauguration to the Seattle City Council, Kshama Sawant spoke of a divided Seattle — a city of “glittering fortunes” for corporations and the wealthy, but also a city in which the lives of the working poor and unemployed grow increasingly difficult. Sawant’s speech echoed the “tale of two cities” campaign theme of another newly-elected progressive politician — New York City mayor Bill de Blasio. While the magnitude of income inequality in New York — and especially Manhattan — is notoriously bad, you don’t hear nearly as much about it in Seattle. So how do we compare?